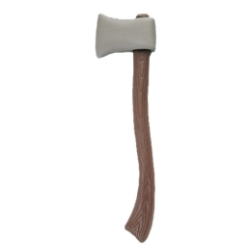 Axe with brown handle. Measures 24 inches. Great for tin man in The Wizard of Oz.